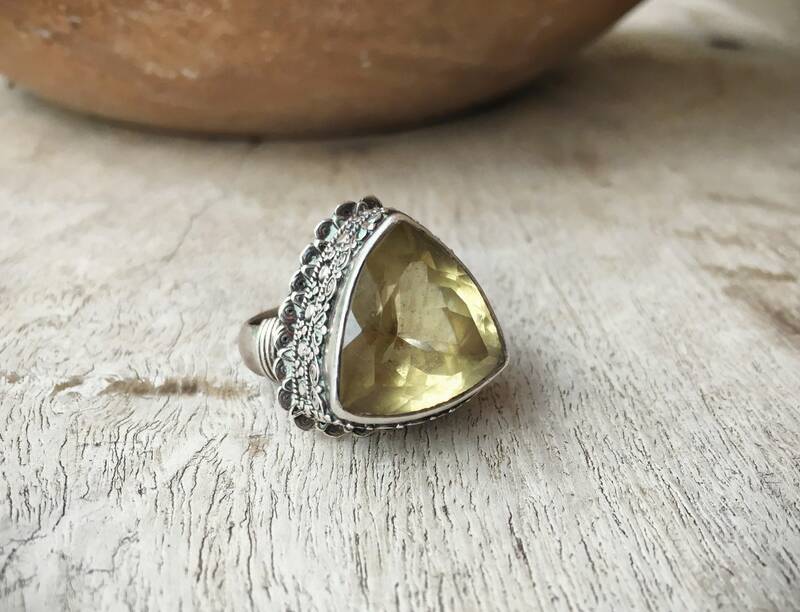 This is an absolutely gorgeous ring with a huge faceted citrine gemstone in a triangle shape, set in a thick 925 sterling silver setting with ornate Thai artistry around the sides. This estate piece came from a world traveler who had many pieces of silver from far flung locations. 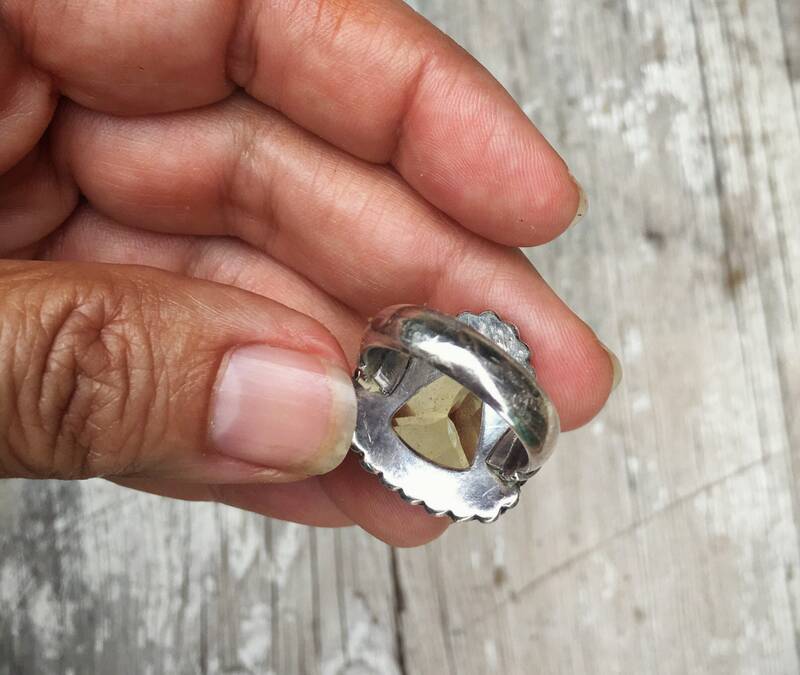 Her son said the ring was purchased from a Thai shop in Santa Barbara in the 1980s. 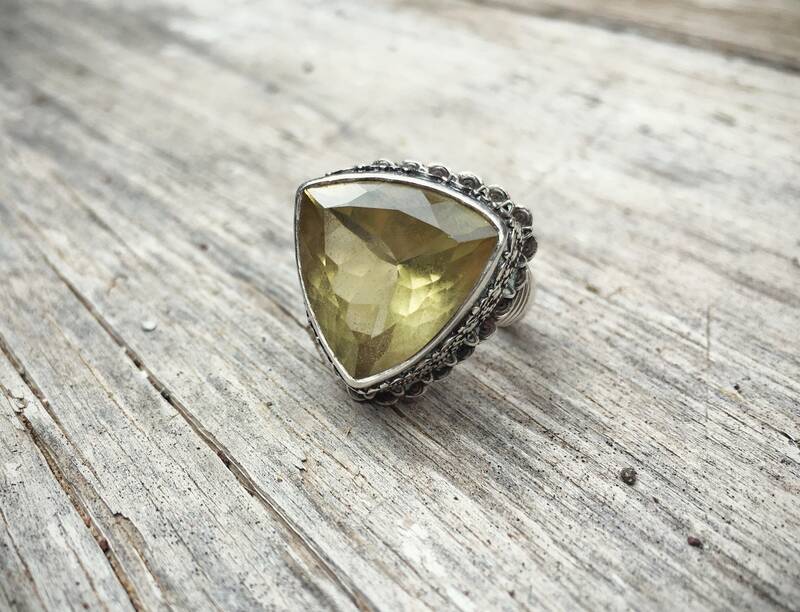 This citrine is set in a light setting that shows off the yellow hues, as does the faceted cut of the gemstone. 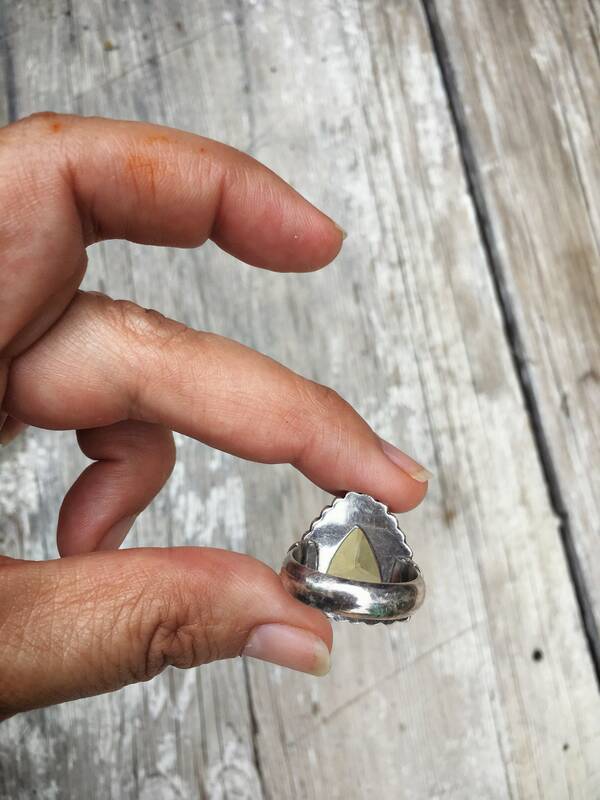 The stone is large, measuring 5/8" across each of the quasi-flat sides of the triangle. I say "quasi" as the triangle is curved, and one side is slightly longer than the other two, at closer to 3/4" across. 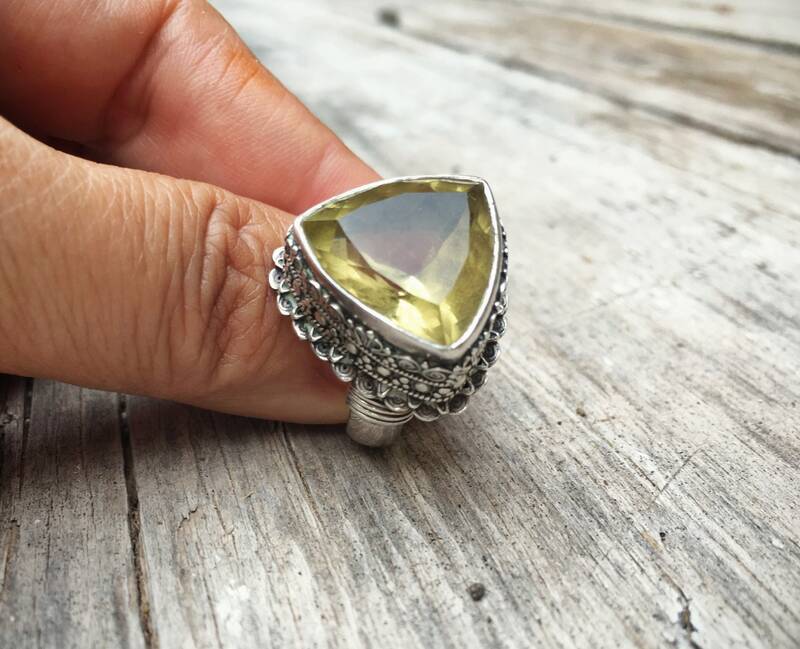 The stone is just a bit shorter in height as the very thick (tall) bezel, which is almost 3/4" tall. 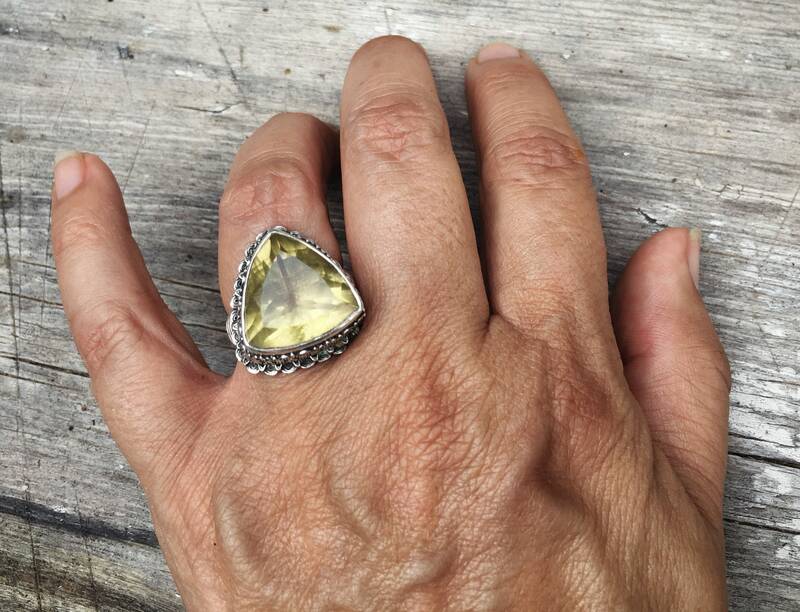 So when wearing the ring, expect it to protrude about 3/8" from the surface of your hand, as the citrine comes up even higher than the bezel's edge. The interior has a 925 mark and no other maker's mark, but we know it is Thai from provenance as well as style. In good vintage condition. Because sometimes you gotta rock a rock on your hand!